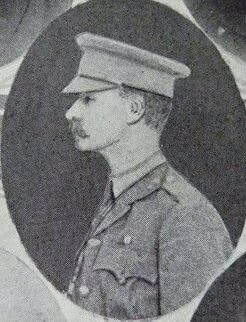 Husband of Blanche Violet Ffrench. Capt. Evelyn Wilson Ffrench, R.A., R.A.F. who was killed on December 23rd while flying near Hounslow, was the only son of the late Acheson Evelyn Ffrench, of Oakhurst, New South Wales and of Mrs. Ffrench, 30 Lexham Gardens, W.
Hospital, Chelsea, SW. She received the Royal Red Cross, First Class. This is the highest nursing distinction, and one much coveted The recipient will have to go to an investiture at Buckingham Palace to receive it. In a letter to her mother Miss Darbyshire says she hopes to see many notable people receiving their honours on the same occasion The ribbon is blue with a red edge, and tied in a bow. The cross itself is red enamel. This honour is of special interest to Queensland, because Miss Darbyshire lived in Queensland for 10 years. Her father and mother (formerly residents of Galloway's Hill, Norman Park) have recently gone to live at Manly. One brother still resides in the Norman Park district. Her other brother is Mr. Taylor Darbyshire, who was a member of the "Courier" staff for many years. Miss Darbyshire received her first training as a nurse under Miss Tibbits, at Adelaide, but afterwards was trained in St. Thomas's Hospital, where she became sister in the operating theatre and sister-in-charge of the isolation block. She was matron of the Derbyshire Royal Infirmary, Derby, for six years. While Australia's soldiers have been upholding the honour of their country on the battlefield, an Australian nurse has been adding to the laurels this country has won throughout the war. News has been received in Melbourne that Miss Ruth E. Darbyshire has been awarded the Royal Red Cross, first class - the highest honour that can be conferred upon a nurse. The investiture was carried out by his Majesty the King at Buckingham Palace in the presence of a distinguished company. 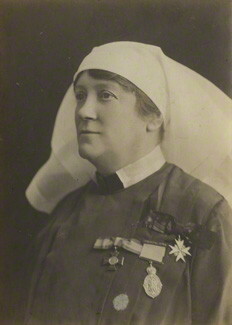 Miss Darbyshire went to London from Australia shortly after the commencement of the Boer war and rapidly made her way in the nursing profession. For six years she was Matron of the Derbyshire Royal Infirmary, Derby, and now holds the unique position of being Matron of St. Marys' Hospital, Paddington, W., and principal matron of the second London General military hospital, Chelsea, S.W. The ceremony of investiture by the King received a good deal of publicity in the London Newspapers, special mention being made of the fact of Miss Darbyshire being an Australian. We regret to report the death on March 7th, of Miss Ruth E. Darbyshire, C.B.E., R.R.C. who has a long nursing career. 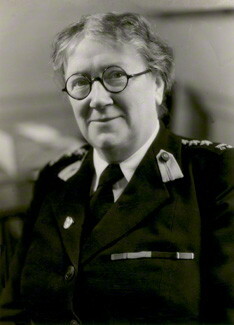 Trained at Wakefield Street hospital, Adelaide, South Australia and St. Thomas' Hospital, London, she had held the following important positions: Matron of the Royal Infirmary, Darby; Matron of St Mary's Hospital, London; Matron Territorial Army Nursing Service; Chief Lady Superintendant; Lady Minto's Indian Nursing Association. Her association with the British Red Cross Society and Order of St. John of Jerusalem of which she was Matron in Chief from March 1940 to September 1943, was deeply appreciated. In 1942 she was created a C.B.E.. She received the decorations of Royal Red Cross (1st class) and the Kaisar-i-Hind Medal (first class). 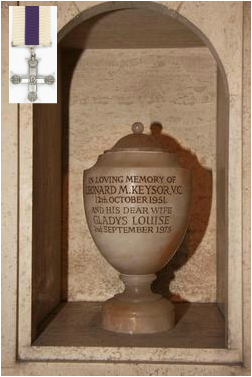 She was a Lady Grace of the Order of St John of Jerusalem. 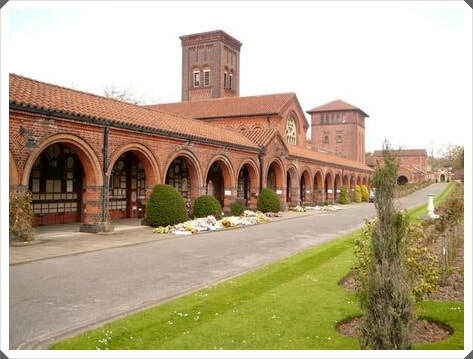 The funeral took place on March 11 at Golders Green Crematorium, when the service was conducted by the Rev H.C.T. Hose in the presence of members of her family and colleagues with whom she had been associated throughout her nursing career. Lieutenant Leonard Maurice KEYSOR 958 V.C. 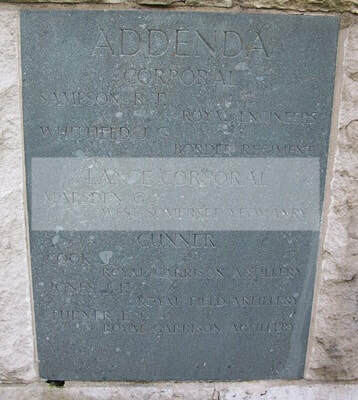 Leonard Keysor was one of several men who, although not born in Australia, won the Victoria Cross as members of the AIF. He was born in London in November 1885, spent ten years in Canada while growing up, then migrated to Sydney a few months before the outbreak of war. He enlisted in the 1st Battalion and sailed for Egypt in October 1914. 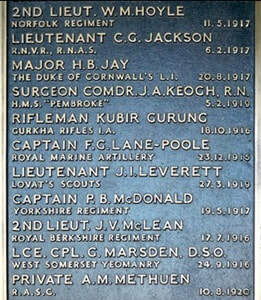 He took part in the Gallipoli landing of 25 April 1915 and was promoted to lance corporal two months later. 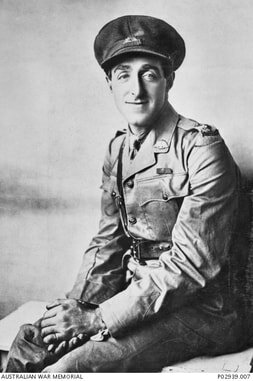 Keysor won his Victoria Cross during the battle of Lone Pine in August 1915. By that time he had become a master bomb thrower; during the days and nights of the battle, he proved his skill time and again. As Turkish bombs landed in his trench, Keysor would smother the explosions with sandbags or clothing. If he had time, he would throw the bombs back - on several occasions he even caught them in mid-flight before lobbing them back into the Turkish trenches. He was twice wounded but refused medical aid, maintaining his efforts for 50 hours. His actions saved the trench and removed the enemy from the position. No. 958 Private Leonard Keysor, 1st Battalion Australian Imperial Force. obtained, and was again wounded. Although marked for hospital he declined to leave, and volunteered to throw bombs for another company which had lost its bomb throwers. He continued to bomb the enemy till the situation was relieved. Husband of Mary Julia Bootler.